Redington Forest from The Horn. 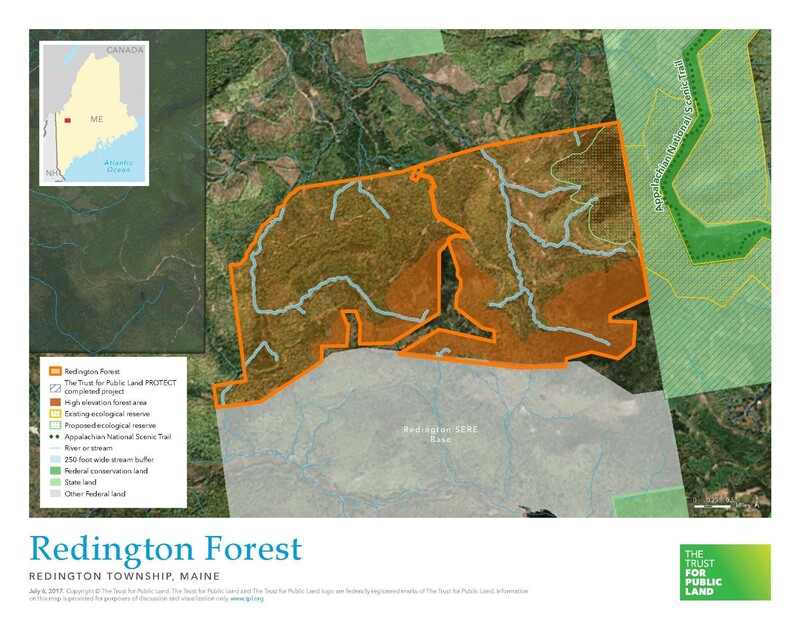 Redington Forest comprises the land just to the west of The Crockers, and as currently structured will be an approximately 10,000-acre working forest easement held by the Maine Appalachian Trail Land Trust in conjunction with the Department of Defense. Redington is a project of DoD’s REPI Program which allows is the use of buffer partnerships among the Military Services, private conservation groups, and state and local governments, authorized by Congress at 10 U.S.C. § 2684a. This is a cooperative project of the Maine Appalachian Trail Land Trust and The Trust for Public Land. 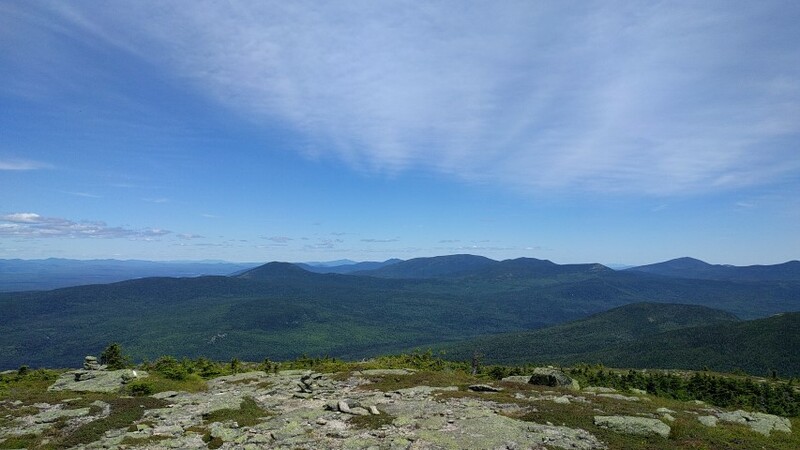 The Redington Forest area contains high-elevation wildlife habitat, beautiful mountain streams and trails for motorized and non-motorized use (hiking, XC skiing, ATV, snowmobile), and valuable buffering of the Appalachian Trail corridor in one of the highlight areas of Maine’s A.T.